The Pays de la Loire lies within the territory of the River Loire. The river traces its course through the region on its journey to the Atlantic Ocean near Nantes. The climate is pleasant and temperate, attracting those who dislike extremes of heat or cold, and the countryside is gentle and green. The region is also one of the most economically thriving in France, thanks to its geographical location and excellent road and rail networks. And it's got something for everyone, with vibrant cities like Nantes (Nantes Property Guide), lively seaside resorts, tranquil countryside and a host of things to see and do. So it's not surprising that the region is popular with property seekers both from France and from abroad. There are five departments in the Pays de la Loire, and all offer subtle differences in character and attractions. 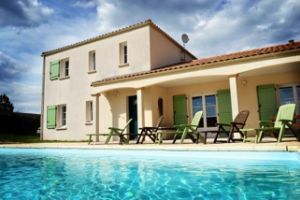 The Vendée is immensely popular with second home buyers thanks to its lovely beaches and many tourist attractions. Golfers will find a vast choice of courses throughout the region. If you have a passion for horses ( Horses in France), living close to Saumur will be a dream come true. The town is the home of the French classic school of equitation, the Cadre Noir. Perhaps it is the more indulgent delights of a fine gastronomy that have drawn you to seek a home in the Pays de la Loire region? There can be few places in France where you can indulge yourself in better food and wines. Try Anjou's fine rosés, a perfect accompaniment to a meal including the region's acclaimed Buerre Blanc sauce. Or help yourself to the oysters from the southern part of the region's coastline. Prices for property vary from department to department, but there are plenty of bargains to be had. 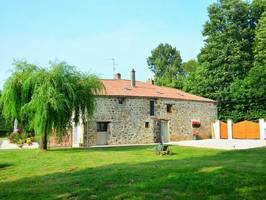 All types of property can be found, with renovation projects still possible (House Renovations in France). The past year has seen many sellers reduce the price of their properties in line with the current economic times, so it's a good time to seek out that bargain buy! 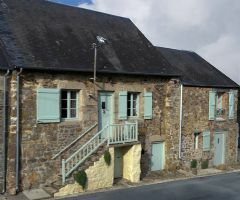 The cheapest properties are usually found in the departments of the Mayenne and Sarthe, with the Vendée being generally more expensive. The general economic gloom of the past few years has had a knock on effect on house prices in the region, but the good news for buyers is that there are now some amazing bargains out there to be snapped up. If you are seeking something a little bit special, don't go past the region. 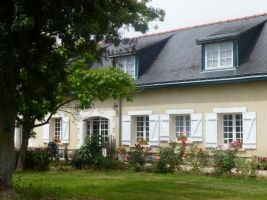 The Pays de la Loire has some really stunning large properties to offer. The Pays de la Loire is a region packed with possibilities, whether you want a new full-time home in France or a special place to spend your holidays. And, with prices as low as they are in 2018, it's the time to make that move. 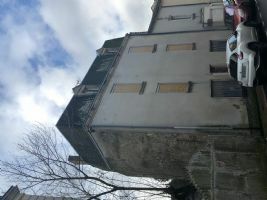 This house requires renovation throughout, yet this is reflected in the asking price of 14 800 euros. * Mains water and electricity were connected but the supply has not used for years. * Mains drainage available in the road. * 2 Large cellars. * 2 Staircases. * Large wooden windows. * Shutters on all windows. 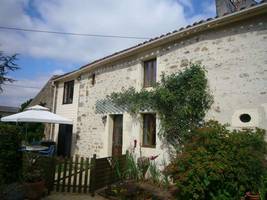 This town house is in the Vendée region, in the Pays de la Loire, south-western France. The ferry port at St Malo is just 3h20. 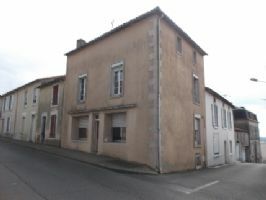 A spacious town house located in the Vendée town of La Chataigneraie, where there are all shops and services. 45 minutes from the Vendée coast and the Puy du Fou theme park. Easy access to the airports at La Rochelle, Poitiers and Nantes. 4-5 hours from the ferry ports at Caen and Cherbourg. The house is offered in good condition and ready to move into. A further price reduction makes this property an interesting proposition Converted to be used as B&B if required and also there is a workshop on the basement/lower ground floor which has other possibilities. This would make an ideal property to offer courses with accomodation. Alternatively it would make a nice familiy home or holiday home. 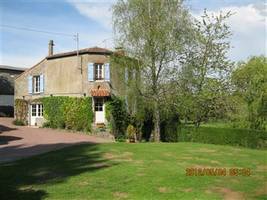 **PRICE REDUCED for quick sale ** Stunning Home Recently Price Reduced Set in a village 6Kms to the former renaissance capital Fontenay le Comte (weekly markets)& only 3Kms to L’Hermanault (shops, bakers) this pretty home offers flexible family accommodation or can divide to provide a letting unit. La Rochelle/beaches 1hr Spacious home with lots of possibilities. Vendors willing to consider all reasonable offers. A delightful detached bungalow offering spacious light open plan rooms and benefitting from 3 double bedrooms including a master with en-suite. Set in mature gardens ideal for children and safe for pets. The property comes with a large double garage and further car port. In a village, not in an estate. Lovely finish for this house built in 2010 on a hedged plot of 3027m², with mature trees. The house offers 145m² floorspace over 2 floors, consisting of an entrance hall with wc, handwash and cloakroom, double aspect living room, equipped kitchen, utility, en-suite bedroom. Upstairs off a landing are 3 further bedrooms, one with dressing room and en-suite shower room/wc, plus a family bathroom and separate wc. 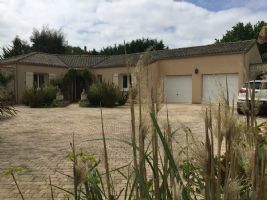 6 bedrooms, 1 acre, open views, sought after location in the heart of the Vendée, 15 minutes from the historic town of Fontenay-le-comte, 10 minutes from the ‘beau village’ of Vouvant, the famous sandy Vendée beaches under an hour.